Jean Westerman Gregg, who served two terms as president of the National Association of Teachers of Singing and spent more than 40 years as an active member and trailblazer for the organization, passed away on Saturday, June 22, in Connecticut. She was 94. A memorial service is being planned but details have not been finalized. Westerman Gregg served as NATS president from 1994-97 and then returned to the position for an abbreviated term from 1998-99 following the death of her successor, James McKinney. She served NATS in various other capacities throughout her career, including as New England Region governor, chair of two national workshops, chair of the 1992 Boston National Convention, and as national treasurer. The NATS Intern Program was of particular interest to Westerman Gregg, who had a passion for helping to train and develop young teachers. "Jean was a tireless worker and a dedicated member of NATS who contributed significantly to the growth of the organization,” said NATS Executive Director Allen Henderson. “She constantly worked to ensure that the work of NATS was timely and of the highest quality." A distinguished teacher, Westerman Gregg was inducted as a member of the American Academy of Teachers of Singing in 1994 and held membership in the American Speech-Language-Hearing Association. She held B.A. and M.A. degrees from the University of Michigan and a M.S. degree in communication disorders from Southern Connecticut State University, with certification and licensure as a speech-language pathologist. A popular lecturer and clinician on voice and voice therapy, Westerman Gregg presented at numerous NATS conferences, the last in 2002. She also was a featured presenter at the NATS Intern Program, the 1st and 3rd International Congress of Voice Teachers (ICVT), the 3rd Brazilian Congress of Laryngology and Voice, and the First Annual Symposium on Care of the Professional Voice (Athens, Greece). She also served for several years on the editorial board of the Journal of Voice and the faculty of the Voice Foundation’s Symposium on Care of the Professional Voice. NATS established an official archives at Special Collections in the Performing Arts Library at the University of Maryland. Away from the lecture circuit and classroom, Westerman Gregg served as director of music at the First Church of Christ in Woodbridge, Conn., and maintained a private studio for the teaching of singing and rehabilitation of laryngeal disorders in both singers and speakers. Westerman Gregg had been an emeritus member of NATS since 2009. 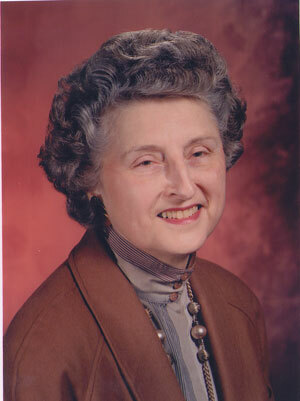 She attended her final NATS National Conference in 2006. It was my privilege to attend the memorial service for Jean in the very church where she had served as choir director for such a long time, to honor her long, rich life, and to acknowledge her many, many contributions to the art and science of singing. I quoted several of the messages on this site and her son, Tim Gregg, had printed all of them out to include with the bulletin. Her work was multi-disciplinary and intersected a number of fields and organizations in addition to NATS: The Voice Foundation, where she served on the Science Advisory Board, the American Academy of Teachers of Singing, and the American Speech-Language Hearing Association, ASHA. When Jean was President, terms were three years; tragically, shortly into his term, her successor and close friend, James McKinney, died. She was obliged to finish his term. She was unflappable, a very strong woman. At the Toronto Convention, a resolution was put before the members thanking her for her service "at great personal sacrifice" and when everyone stood up as one, applauding their vote, she had to step back from the podium for a moment. Well, Jean, the ovation is still going on. Thank you and God bless. My friendship with Jean goes back to Chicago when she directed me in Down in the Valley at the Chicago Musical College. We continued seeing each other at NATS conventions and for the last several years I have really missed her. Love and prayers to her family. Jean was my mentor. How special she was! What a fountain of information about all things vocal and always willing to share her knowledge. How fortunate I was to have been able to call her a friend. I remember fondly the times I spent with Jean at NATS national meetings. Jean Westerman Gregg was one of the genuine stars of our profession. Her understanding of vocal function and application of its principles was laudable. Jean's passion for teaching and her contributions to NATS are worthy of lasting respect and emulation, and her presence this side the ground will be missed. I met Jean while teaching at the NATS Intern Program the year it was held at Ithaca College. Our dorm rooms were next door to each other and thanks to her forgetting her alarm clock, I had the good fortune of knocking on her door each morning. Often she was already up, and invited me in for a chat. I learned a great deal from those " extra sessions". A model of generous authority, this woman, quietly articulate among many loud birds, showed strength, leadership ,and an ethical comittment to teaching we would all do well to emulate. Jean Gregg was my mentor before and during my time as NATS President and her influence assisted me greatly in carrying out my duties. Most of all, however, she was a friend and cared about me and my wife even to the point of reminding me to lose some weight! I will always remember her and the important role she played in my life. Thank you, Jean, for everything. I often read Jean's articles in the NATS Journal with interest, and was therefore honored and nervous to meet her at the NATS Summer Workshop on French Art Song at Rutgers University in 1999. She surprised me with how approachable and friendly she was. In dining with her occasionally at lunch, she was not only vibrant and intelligent, but she always had a ladylike grace about her. I teased her fondly about being "The Breck Woman" as her hair was always so perfect and she reminded me of the models for the Breck hair products commercials I grew up watching on television. A truly elegant leader, a woman of substance, genuinely inspiring. How sad to hear that she is gone. As we look forward to the 8th International Congress of Voice Teachers in two weeks time, I recall first meeting Jean Westerman Gregg at ICVT- I was in awe of her then. Over the years, she made her presence felt in the global community of voice teachers through her outstanding leadership in the US and through her regular written wisdom that appeared in the Journal of Singing. We have all benefited from her dedication, her grace and her courage as she blended the professional work of singing teachers and vocal health practitioners. Her legacy is the example she set for those who must keep the fires burning – you and me. ICVT salutes a wonderful woman. Jean was my voice teacher for 10 years when I lived in Connecticut. She was a wonderful example to follow and I have been using the technique that her father developed in his book, "The Emergent Voice" for years. Her encouragement and support of me is the reason I am a voice teacher, church musician and singer to this day. Jean Westermann Gregg was my voice teacher for a time many years ago, and responsible for my NATS membership. While studying with Jean, my voice was at its healthiest ever. I continue to use techniques learned with Jean in my teaching and own several copies of "The Emergent Voice," penned by Jean's father, which I lend out to my students as one approach to the study of singing. Jean was a kind, knowledgeable, committed, and caring teacher. Everyone who was priviledged to know her will be sending tributes. I am proud to add my bit! She graciously befriended me at the Voice Foundation in Boston in 1990 and encouraged me throughout my teaching and work in NATS. I will miss her greatly! I am so sad to hear this news. She was a gem and a class act. I learned so much from her. She was one of the early female pioneers in our field. You are missed. Jean's passing is a loss for all of us she mentored - whether she knew it or not. And her spirit will continue on in our teaching. I was in the NATS Intern program during her tenure. Even though she was not one of the four master-teachers, she was compassionate and strong and opinionated and extremely helpful for me as young teacher. In our conversations, she helped guide me to understand both NATS as an organization, and how to manage more efficiently my life as an independent teacher. I still refer to her in my teaching. NATS is a far better organization because of her presence. Jean Westerman Gregg - a great woman, musician, singer, voice teacher, vocal therapist and so much more. I treasure each moment we spent together and feel so fortunate that Jean served as a mentor to me for so many years. She taught me so much and was truly a blessing to so many of us! I met Jean at the 1996 NATS Intern Program at The Ohio State University. I had heard a great deal about her work ethic and her love for all things related to NATS prior to meeting her, and was not disappointed when I found those things to be true from my personal observations. I will always remember her kind words of encouragement to me as, at that time, a young singing teacher beginning his career. Thank you for your service to our organization and our art, Jean. You will be missed. Jean was a remarkable woman. She contributed wisdom not only about the voice, but also about people, to her many friends and colleagues. She was particularly helpful to the NATS national convention team in Toronto, of which I was a part, and her leadership upon Jim McKinney's untimely death was unfailingly positive. To see her at NATS, ICVT, or at the Voice Foundation was a delight, and she served as a strong role model for many. That her life was long and full is a blessing to many, and I am grateful to have known her. Your Mother WAS NATS for many years. She embodied a dedication to,and an effort for, NATS, that is beyond description. She was smart, circumspect, unpretentious, and an extremely valuable asset to NATS. She always said, "Yes, I will." Jean was the woman who said that the diaphragm "separated the vitals from the vittles" (e.g., the respiratory system from the digestive system). A phrase I used for YEARS. R.I.P. to a great pedagogue. I got to know Jean when I became a member of the National Board of NATS. She was a wonderful friend and mentor. We'll all miss you Jean. RIP. What a wonderful, giving and gracious life she lived. Her work on earth is a priceless and timeless testament. An awesome life lived on earth and an ongoing gift to the world of music. Sorry to hear this. She made wonderful contributions and was a nice person as well! I was so very sorry to hear of her passing. My thoughts are with her family and friends. She will be missed!